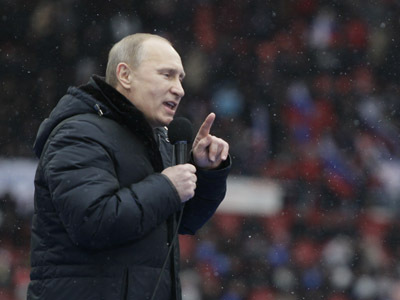 Ukrainian police have finished the investigation into the conspiracy to kill Russian President Vladimir Putin. However, legal hurdles do not allow for the suspects’ extradition to Russia. The two suspects in the case – Russian citizen Adam Osmayev and Kazakhstan national Ilya Pyanzin – will soon go on trial in Ukraine, despite Russia’s attempts to bring them to court on its territory, reports the Kommersant daily. Representatives for the accused are doing their best to speed up the preparatory stage and provide investigators with information in hope that their clients will be tried on Ukrainian territory, the report reads. However, the extradition is still possible as Ukrainian law has no norms on plea bargaining. Osmayev and Pyanzin were detained in Ukraine’s Odessa in late February after a blast in an apartment block in the city. Both men confessed to Ukrainian police that they had intended to assassinate Vladimir Putin – who was running for Russia’s presidency at the time – with a roadside bomb. 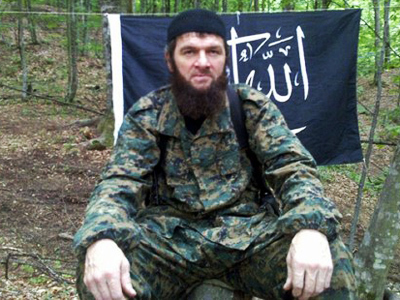 They said they were acting on the orders of Russia’s most wanted terrorist Doku Umarov. Later, the men also confessed to preparing to kill the President of the Chechen Republic Ramzan Kadyrov with a bomb blast at a stadium. Ukrainian prosecutors initially charged the two men with illegal possession of explosives and damage to property, but after confessions added charges of participating in a terrorist organization and preparing a terrorist attack. 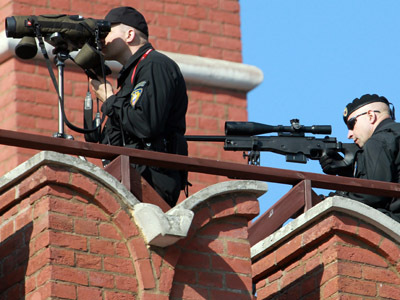 Russian security services reported that they had discovered a cache with explosives near a road specified by one of the suspects. 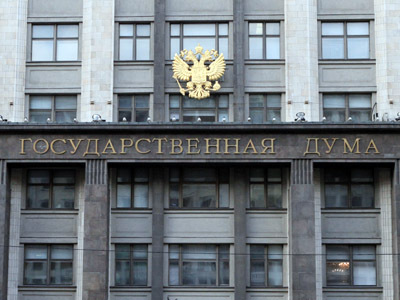 Russia has also started a criminal case into the conspiracy in which Osmayev and Pyanzin were taking part. Both men were charged in absentia with participation in an illegal armed group, attempt on life of a state official and illegal production and transport of weapons and a court has ordered their arrest. Since the detention of the two men, Russia has been pressing for their extradition. However, Ukrainian prosecutors say that will be possible only after they are tried and sentenced in Ukraine and the sentence comes into force after all appeals, which can take a very long time. In addition, the new Ukrainian procedure code will allow for a plea bargain that would give the suspects guarantees against extradition, but the new code only comes into force in October. Even under current rules, though, the suspects have a chance to serve their time in Ukraine if they manage to persuade the court that doing time in Russia would threaten their lives, Ukrainian prosecutors said.